I went to see my stylist, Xavier Lee, for a little cut & treatment (I'll post that later) and my attention went straight to these cute little colour capsules on their display shelf. "What are those? ", I asked curiously. 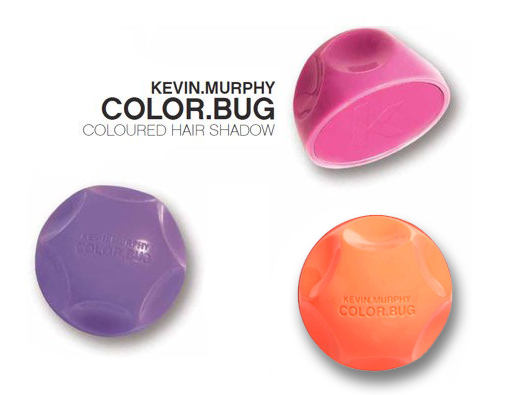 "They're COLOR BUGs by Kevin Murphy. It's hair shadow...like eyeshadow." "It's a temporary colour for hair...I'll try one on you later." How would anything like that stay on my pitch black hair? 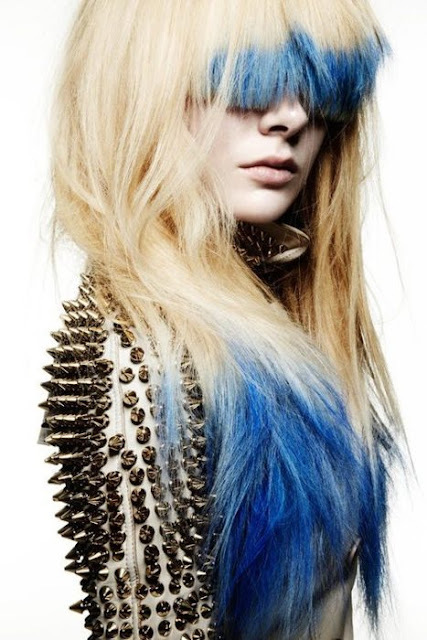 Maybe on a blond...like the models on high fashion editorials. I mean, even Katy Perry and Kelly Osbourne has permanent dye to get that pop coloured hair. Well, to my surprise, I love it! It was subtle yet noticeable...just what I wanted without the commitment of having a fully processed hair dye that would need maintenance every 2 weeks! I personally got the purple to try but was really tempted to get all of them!